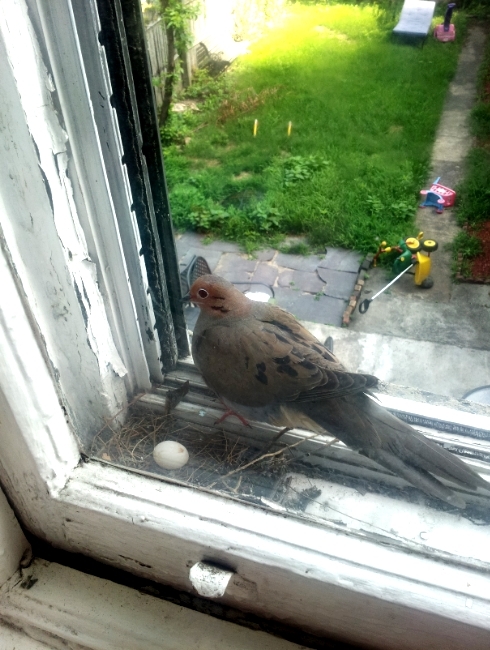 The Short Answer: These two reports of mourning doves (Zenaida macroura) nesting on window sills in New York City came within a week or so of each other. 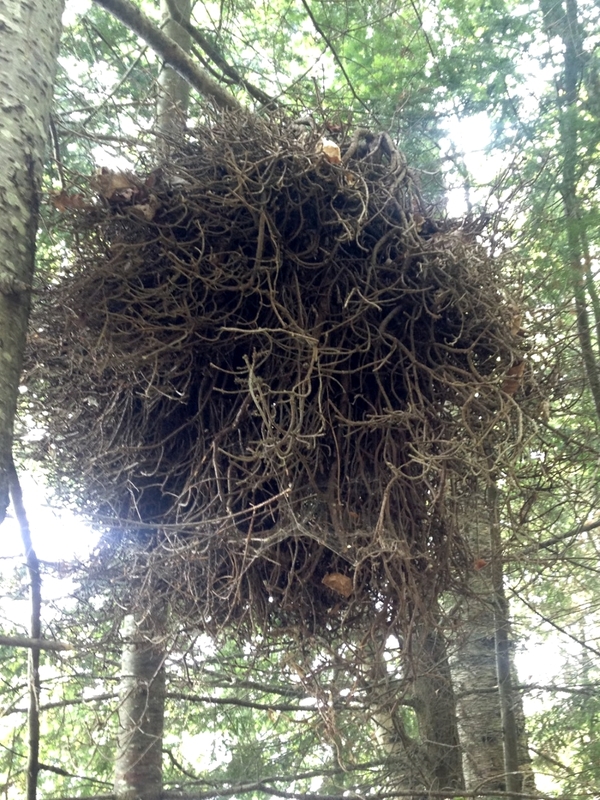 In one case, Sam and her small children were thrilled to have a bird nest so easily visible outside their window. In the other case, Ron was a little less happy, because the birds were nested right below his air conditioner, which was pulling in bird nest smell. Still, he was willing to wait till the dove chicks were free of the nest to remove it. 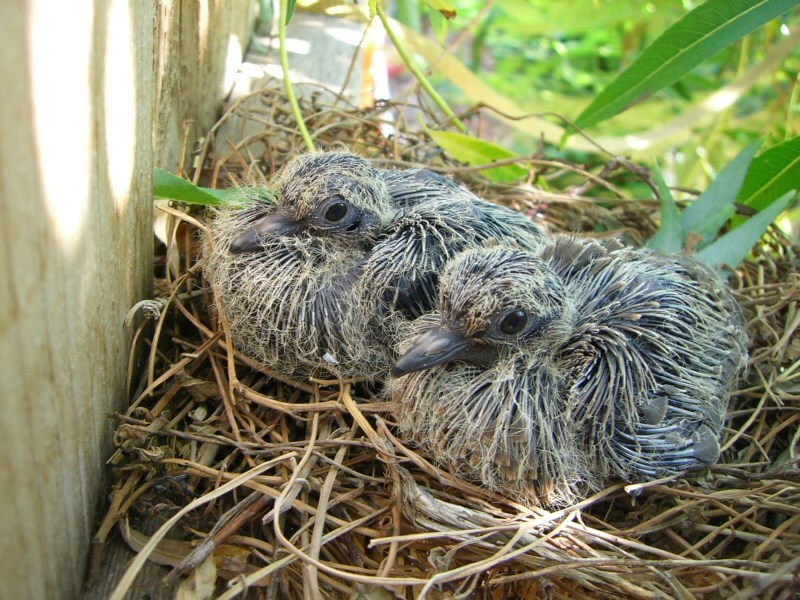 More Information: Like most species of the family Columbidae, mourning doves lay two eggs. They are remarkably flexible about where they will build their nest, sometimes choosing a low bush, and other times nesting 80 meters (260 feet) up in a tree. 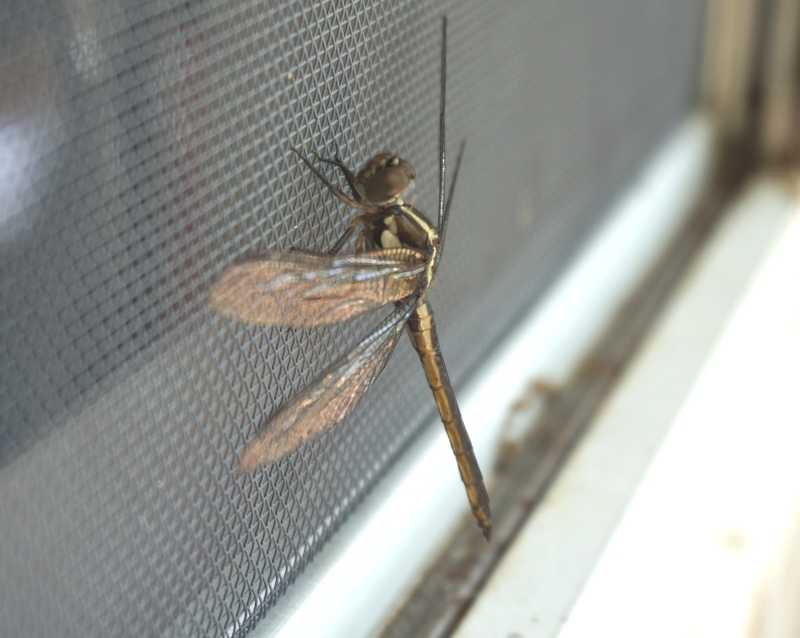 They’ll also nest on buildings, window ledges and even on the ground. Parents share incubation of the eggs, which hatch in 14-15 days. They also share feeding of the chicks with regurgitated “crop milk,” a liquid made from partially digested seeds. As the days go on, parents increasingly mix in seeds. The chicks are ready to leave the nest in about two weeks and after their first flight, and once they fledge they may return to the nest for a day or two, and then begin roosting in trees at night. For another two to four weeks the male parent will feed them until they are independent. Meanwhile, the female may begin laying new eggs. Pairs can raise as many as six clutches in a single year, so Ron’s concern about his doves renesting under his air conditioner is a valid one. The U.S. Migratory Bird Treaty Act makes it illegal to tamper or move the nest of a native bird while it has eggs or chicks, however. So Ron’s best bet for a humane and legal solution is to watch for the baby birds to leave and then wait a day or two and remove the nest, hopefully before the female begins laying a whole new clutch. Pigeon and doves: As I mentioned above, the family Columbidae includes doves and pigeons. 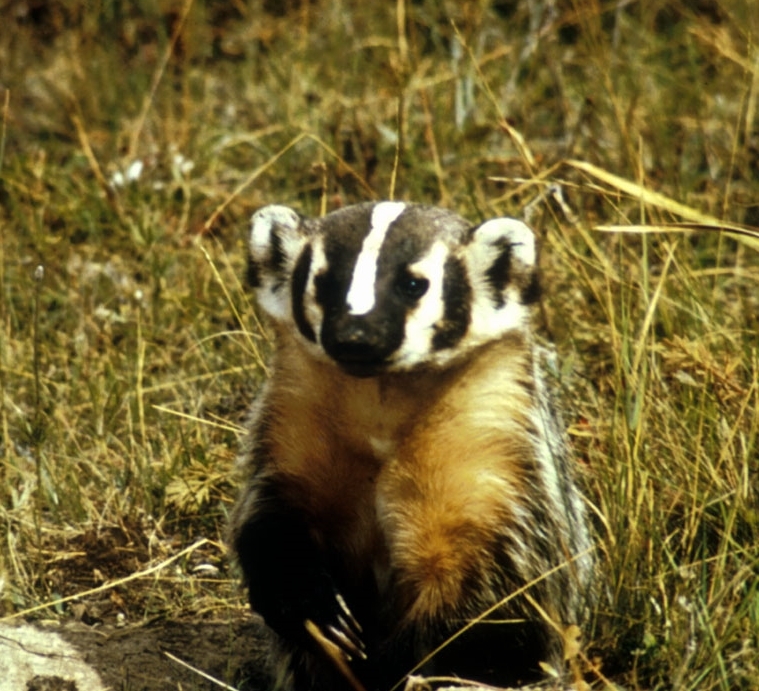 In fact, there is no difference between the two from a taxonomic standpoint. Some members of the Columbidae are called doves and others are called pigeons, but that’s more about traditional names than anything scientific. In fact, our familiar city “pigeon” is also called both a “rock dove” and a “rock pigeon” (Columba livia). Otis, David L., John H. Schulz, David Miller, R. E. Mirarchi and T. S. Baskett. 2008. Mourning Dove (Zenaida macroura), The Birds of North America Online (A. Poole, Ed.). 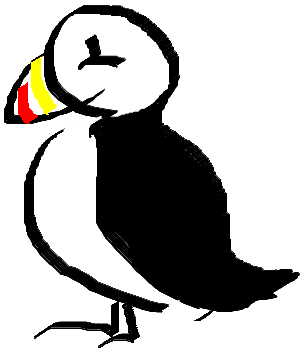 Ithaca: Cornell Lab of Ornithology; Retrieved from the Birds of North America Online: http://bna.birds.cornell.edu/bna/species/117. Previous PostWhat are these jelly blobs on my car?Next PostHow fast do the tiny toads grow? Thank you so much for the info shared!! I have recently had the wonderful experience of doves taking over my herb garden on my small patio and building their nest. I saw the day they laid their egg. I was mesmerized when I first saw the baby nestled under the parents breast & watching the parents feed the baby as they switched places each day. This past weekend I anciently startled the baby & one of the parents as I was doing my routine watering :(. I think the baby was aprox 2 weeks old. I was pleased to see both the parent & especially the baby fly to the closest trees in my courtyard. I noticed the baby had a very strong flight. I was impressed. I haven’t seen the baby since, although the parents keep dropping by to check out their nest & my patio space. I have been very sad thinking the baby was not ready to be “on his own”. But the expertise that you have shared has put my mind at ease a bit. Since the baby had such a strong flight, & my courtyard is fairly isolated, I’m thinking the baby is somewhere close by & the parents are still feeding/rearing him. I’m hoping the pair still feel safe enough to continue laying more eggs this season. Thanks for your insights!! Please feel free to share any advice so my patio can continue to be a choice spot for my neighborhood doves to feel safe nesting a having their babies:). Many thanks! I wish we could post photos here.